Can I watch West Brom v Aston Villa Live Stream? Both these sides look in a good position to go up this year – this is one game not to be missed. This looks a cracker of a game which kicks off the weekend football – a local derby between two sides hopeful of a return to the top tier of English football – the Premier League. The hosts occupy third spot, five points adrift of league leaders Norwich and four points ahead of Villa following a four game unbeaten run. Darren Moore’s side are the league’s top goal scorers having netted 42 goals in 20 games, averaging at least two goals per game. West Brom to score two or more goals 17/20. Aston Villa meanwhile are the form side in the league, they’ve taken 13 points from their last five league games and look to be finding their feet under Dean Smith. The Villains moved to within three points of the playoffs after an impressive 3-0 victory away at Boro last weekend and they’re 2/1 to secure another victory on the road. Tammy Abraham is flourishing under Dean Smith. The striker has scored an astonishing seven goals in four games and is 5/1 to open the scoring on Friday. West Brom’s danger man may well be Harvey Barnes. The youngster has netted three goals in his last four appearances and is 11/4 to score anytime. No EFL side, including West Brom, has scored more goals than Aston Villa’s 17 across their last five games. The stats point to a goal fest, so over 3.5 goals can be backed at 17/11. For those who prefer to go against the stats 0-0 correct score is available at 18/1. The Baggies are 5/4 to pick up all three points, while the draw is available at 5/2. Villa, without a win in their last six visits to the Hawthorns, are 2/1. Its difficult to oppose the away side in this one – lets not forget Villa went to the side with the best defensive record in the Championship and won handsomely 3-0. 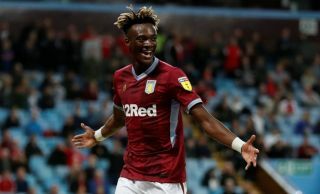 Villa look to have too much going forward – and in Tammy Abraham they have the league’s form striker finding the net for fun at the moment. We’re all over the 2/1 on the Aston Villa away win.